With Easter on its way, what better DVD to add to your collection than THE LION OF JUDAH! This inspirational family movie comes out March 27th on Blu-Ray 3D and you have your chance to win 1 of 4 copies! That’s right, we have 4 copies up for grabs here on Mami 2 Mommy! So don’t wait, enter now below and add this special little present to your child’s Easter basket. Good luck! 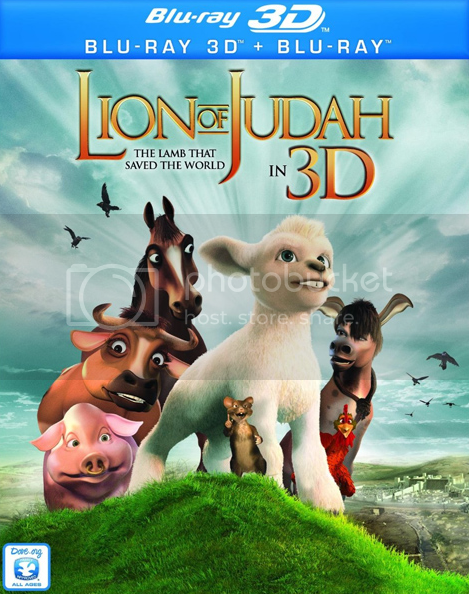 A laugh-filled, heartwarming animated tale, “The Lion of Judah” is an Easter classic inspiration for the whole family. Join Judah & The Stable-Mates as they embark on a ROARING adventure towards freedom! This daring quest intertwines humor and troublesome situations, while delivering foundational messages with gentleness and breath-taking beauty. For Judah, a lamb with the heart of a lion, it is a story of courage that will lead you to the pivotal voyage of hope, and will leave you in awe of the power that one lamb can command. “The Lion of Judah” is rated PG and is 5-Star Dove Approved for the whole family! For more information about the movie and for some family fun activities you can visit the movie website here. I like to win this for my kiddos! I would love the DVD thanks for the giveaway!